Still attached to its cruise stage, which ferried the lander from Earth to Mars, InSight fired its thrusters at 4:47 p.m. EST (1:47 p.m. PST; 2147 GMT) Sunday to steer the spacecraft closer to an ideal landing site in Elysium Planitia, a broad, flat equatorial plain selected by mission managers because of its relative safety. 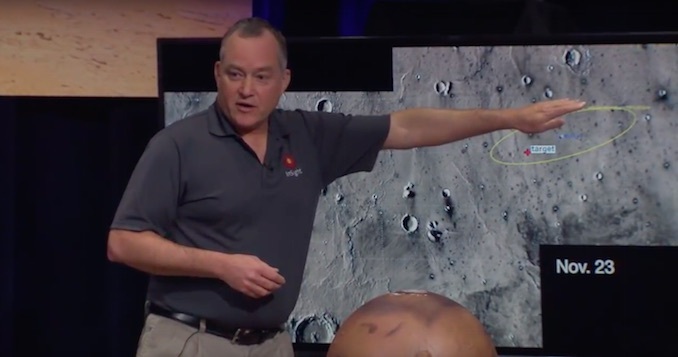 InSight’s landing zone is free of large boulders, craters, and other topographic hazards, according to surveys based on high-resolution imagery from the Mars Reconnaissance Orbiter, a satellite in orbit around Mars. Officials ordered the trajectory correction maneuver in a meeting Sunday morning after an assessment of InSight’s course toward Mars. The previous course correction Nov. 18 moved InSight’s landing ellipse — a football-shaped area in which the spacecraft could conceivably touch down — to the mission’s planned landing spot. 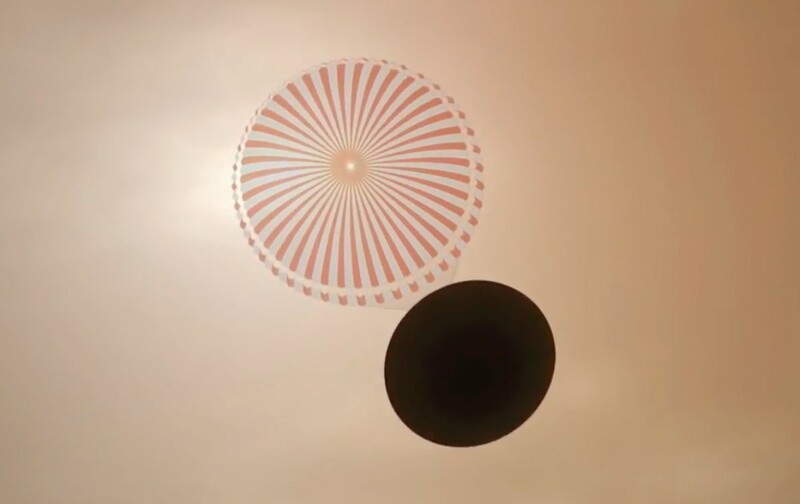 But the ellipse did not have the landing target dead-center, and it included some areas with rougher terrain, where a landing might be more risky, according to Tom Hoffman, InSight’s project manager at NASA’s Jet Propulsion Laboratory in Pasadena, California. 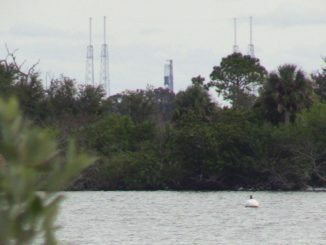 Mission planners set aside propellant and time for InSight to conduct the trajectory correction maneuver Sunday, but officials were not sure it would be required until a meeting Sunday morning, according to Hoffman. “If we go farther northwest than where we’re currently showing, we get into a region that we’re not as comfortable landing in, which is the reason we had a very exciting … 6 o’clock meeting this morning,” Hoffman said. Some InSight officials have joked that Elysium Planitia is the biggest parking lot on Mars, notable for its expanse and featureless terrain, not for the rugged geology often found at other Mars landing sites. A final opportunity to uplink commands to InSight is available to ground controllers around two hours before the spacecraft enters the Martian atmosphere at 2:47 p.m. EST (1947 GMT) Monday. Engineers may elect to send up minor adjustments to the algorithm that will guide InSight through the atmosphere to its landing site. 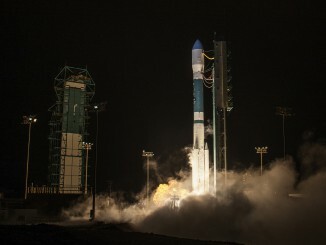 The lander will jettison its cruise stage, which ferried InSight from Earth to Mars following the mission’s May 5 launch aboard an Atlas 5 rocket, a few minutes before slamming into the outermost layers of the Martian atmosphere. The cruise module will burn up during its plunge toward Mars. InSight’s heat shield will take the brunt of the force to slow InSight from its initial entry velocity of 12,300 mph (5.5 kilometers per second). Cocooned in a flying saucer-shaped shell, the lander will slow down using aerodynamic friction, building up temperatures on the outer skin of the craft’s heat shield as high as 2,700 degrees Fahrenheit (1,500 degrees Celsius). A supersonic parachute will then unfurl — shot out of the top of the entry vehicle like a mortar shell — at a velocity of around 861 mph (385 meters per second), and at an altitude of approximately 36,400 feet (11,100 meters) above ground level. InSight will next activate a landing radar to measure the spacecraft’s altitude and descent rate, and after about two minutes under the parachute, the probe will release from its backshell at a speed of around 134 mph (60 meters per second) and an altitude of approximately 3,600 feet (1,100 meters). Around 164 feet (50 meters) above the surface, InSight will transition to a constant velocity mode. Around 15 seconds later, InSight will reach the surface at a velocity of around 5 mph (2.24 meters per second), and immediately switch off its liquid-fueled thrusters. 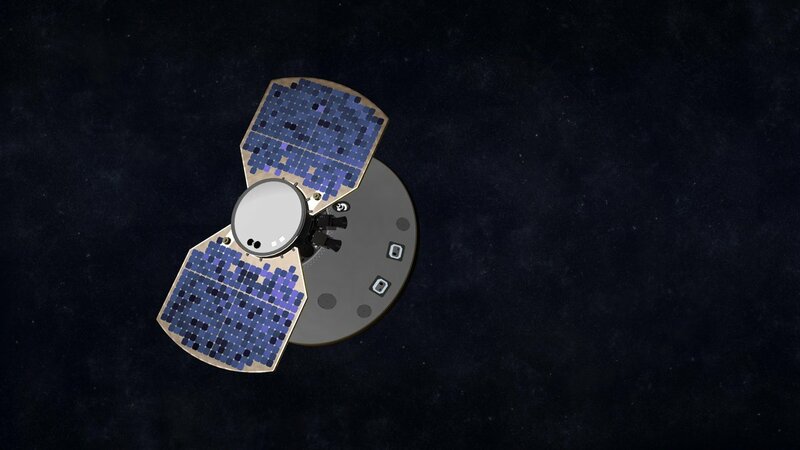 Once on the surface, InSight will unfurl two fan-like solar arrays to begin generating power. Cameras on the stationary lander, built by Lockheed Martin, will survey its surroundings before engineers beam up commands for InSight to use its robotic arm to place a pair of science instruments on the nearby surface. One of the sensors is a French-built seismometer encased in a vacuum enclosure and a wind shield. 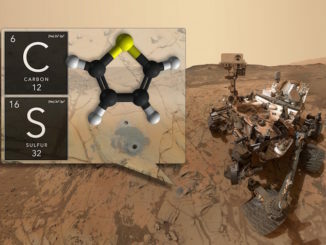 It will detect tremors — marsquakes — caused by geologic activity deep inside the Martian crust. Another instrument, developed in Germany, will hammer up to 16 feet (5 meters) below the Martian surface and measure the heat coming from the planet’s interior. The instrument deployments could take two or three months to complete as scientists and engineers on Earth methodically plan the sequence based on the conditions at InSight’s unexplored landing site. The lander will stand around three feet (90 centimeters) tall on the Martian surface, with some uncertainty because InSight’s legs could compress into the soil after touchdown. With its solar panels unfolded, the lander will span around 19.7 feet (6 meters) wide. Data collected by InSight should reveal information about Mars’s internal structure, including the size and make-up of its core. Scientists hope InSight’s discoveries will tell them about how rocky planets like Mars and Earth formed. Mars has a geologic record dating back billions of years, a record that has been largely erased on Earth by plate tectonics and vigorous geologic activity that refreshes the crust.